Those of us who attended Bozeman Senior High School during the 1970’s were very fortunate indeed. Ray worked very hard to bring nationally known artists to our classes. 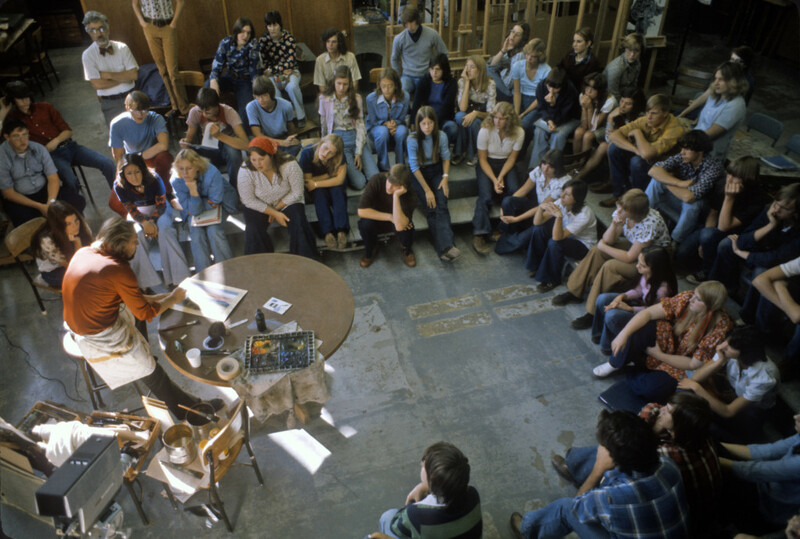 Subsequently, numerous students were greatly influenced by these artistic visitors. In October of 1975, Ray brought Valfred Thelin to Bozeman Senior High for a one day presentation. Val fascinated many students with his very unique personality and significant talents. The photo below is from that presentation. Below the photo, there is also a 43 minute audio recording. Please take the time to listen to Val as he worked.